Heloísa works as a Resident Artist at the Art Center in Miami Beach, FL. Born in Rio de Janeiro, Heloísa Botelho initiated the development of her artistic talents at the age of 40. She began her art studies in 1984 at the prestigious Parque Lage School of Visual Arts, Rio de Janeiro. In 1989 she worked under the direction of Carlos Fajardo in São Paulo, and then between 1992 and 1994 she focused on drawings and paintings in Charles Watson’s studio. In 1994 she returned to Parque Lage School of Visual Arts as one of six artists selected on a national level to take part in the Specialization in Painting Clinic studying under artists such as Charles Watson, Beatriz Milhazes, Katie Von Scherpenberg and Daniel Senise. Throughout the 90s she participated in several courses and workshops internationally, to include London, New York and Boston. 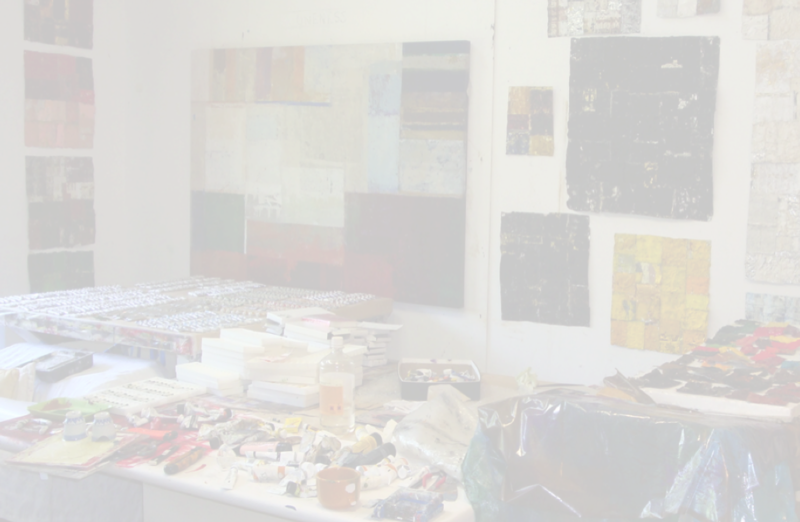 From 2000 to 2002, Heloísa lived in Cambridge, MA where she worked on the preparation of two of her most important one-person exhibitions to date, the juried “Inside Out Painting” and “The Lint Project”, at the São Paulo Cultural Center. The exhibitions received significant press coverage due to the innovative artwork and importance of the venue in the Brazilian artistic scene. In fact, innovation and experimentation have been hallmarks of Heloísa’s work. One of the techniques that she has used in the past years is the transfer of paint to the canvas using plastic sheets. She builds the painting in several layers, obtaining a unique mix of colors and patterns. Another line of work has been the “Paint Tube Series” where she assembles art with varied patterns and colors by cutting open and drying new and old paint from inside the tubes.